As a John Maxwell Certified Speaker, Trainer, Coach, I can offer you workshops, seminars, keynote speaking, and coaching, aiding your personal and professional growth through study and practical application of John’s proven leadership methods. Working together, I will move you and/or your team or organization in the desired direction to reach your goals. I have been an entrepreneur throughout my adult life as well as working in corporate management. As President of Brockman Enterprises, Inc., I made the decision to partner with John Maxwell to share his passion for teaching leadership and adding value to others – it was an easy and natural fit for me. My daily goal is making a difference in the lives of others. I have successfully coached individuals and teams throughout my professional career beginning with my first sole business venture at age 25. After managing the personal and professional development school for 12 years, I relocated to Northwest Florida and managed programming and sales for a local TV station for 11 years. During the past several years I was successful in developing a team of over 2000 marketers and achieving a top leadership position in a major health and wellness company. As a sought after trainer, I trained thousands of independent marketers across the U.S and served on the Marketer Advisory Board for the company. Because I believe in giving back to my local community, I have served in numerous volunteer leadership positions which include: 2007 Board Chair of a 1500 member Chamber of Commerce; civilian Honorary Commander of the 33rd Fighter Wing at Eglin Air Force Base and 1st Special Ops Group at Hurlburt Field; Executive boards of American Business Women’s Association and Panhandle Animal Welfare Society. One of my greatest honors was when Leadership Okaloosa established the annual Peggy Brockman Leadership Award to honor those exhibiting outstanding leadership skills. I operate under the belief that “every day is about choice….we choose our latitudes, attitudes, & gratitudes” which I wrote about in a book I co-authored called Celebrating 365 Days of Gratitude expected for release in late 2012. My book Stuck in the Comfort Zone: How your choices, attitudes, fears and beliefs are the keys to unlock success in life and business, will be released in the summer of 2013. Leadership is described as the process of social influence in which one person can enlist the aid and support of others in the accomplishment of a common task. I would like to help you reach your purpose and goals through an intentional plan of development. Working together through accountability, we can facilitate positive and profitable change, improve productivity and create the atmosphere that is necessary for effective leadership. Contact me by email at ppbrockman@gmail.com . 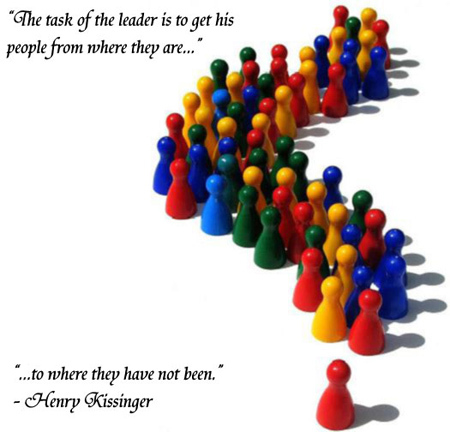 I am looking forward to assisting you on your journey to becoming a successful leader.